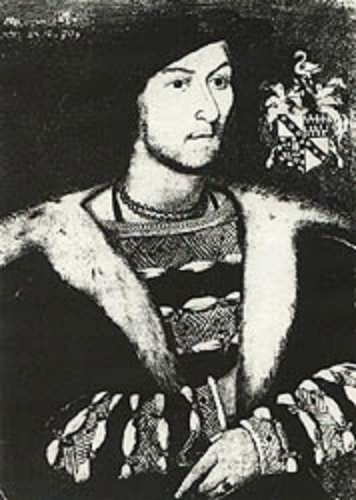 David Cressy is considered an authority on Tudor and Stuart era social customs. See his book, "Birth, Marriage and Death: ritual, religion and the life-cycle in Tudor England". As far as I can tell he makes no mention of men wearing wedding rings. Many elite men wore rings of all sorts. Rings could also be seals for sealing documents or indicate ownership of land or rank. As Carey was a career courtier, it could have been a token from the king for some service.